Saddle up because today I’m turning the famous Hot Brown into a mini appetizer that has all the flavor of the original. 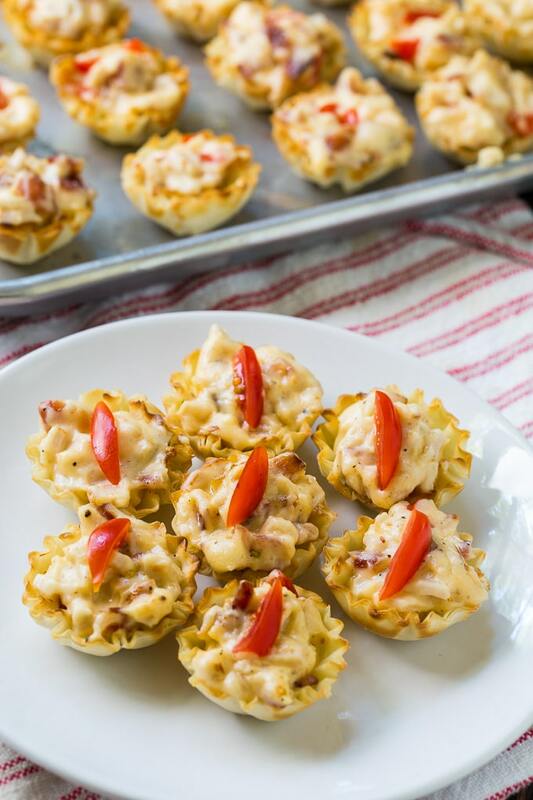 These bite-sized Mini Hot Brown Tarts are the perfect holiday appetizer and they definitely deserve a spot on the table for a Kentucky Derby Party. Crunchy on the outside, they have a creamy, rich filling with turkey and bacon. Recently on a trip to Louisville (read about it here) I got to try the original Hot Brown Sandwich at the Brown Hotel. 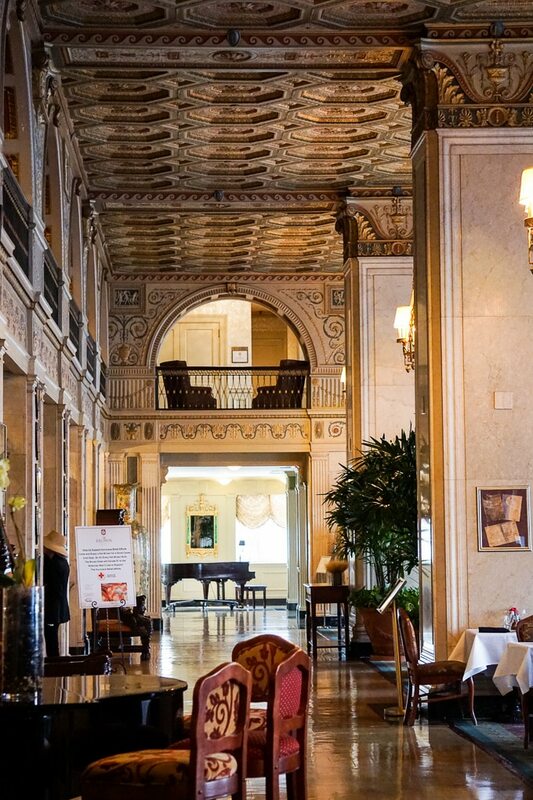 The Brown Hotel is a lovely historic hotel with a gorgeous 2 story lobby with a hand-painted coffered ceiling. It was our home base for our trip to Louisville and I would highly recommend it to anyone looking for accommodations in Louisville. 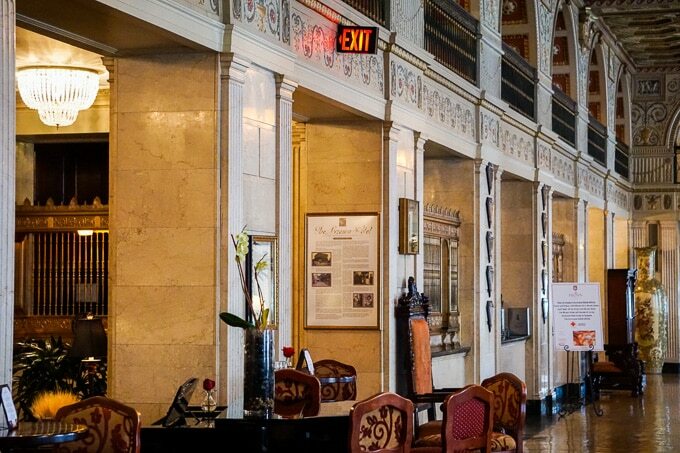 But even if you are staying elsewhere or only in Louisville for the day, a visit to the Brown Hotel is a must! The people watching in the lobby is fantastic. Grab a drink at the bar and sit for a while. And be sure to try an Old-Fashioned. They are known to have one of the best in Louisville. Then head downstairs for one of the best hotel gift stores I have ever shopped in. While at the Brown Hotel you really must try the Hot Brown. You have a few options. 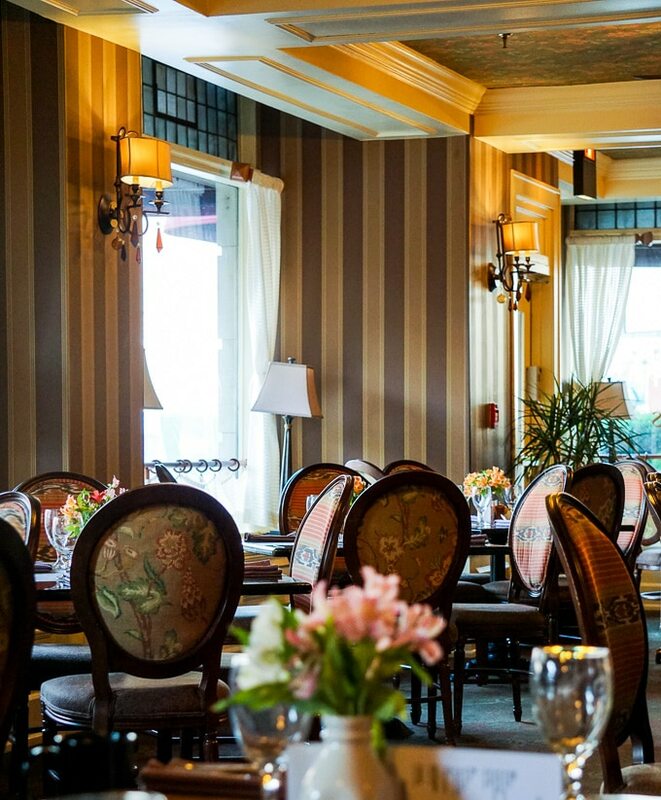 The English Grill, the Brown Hotel’s upscale restaurant is open for dinner and J. Graham’s Cafe is open for breakfast and lunch. And I believe you can order one at the lobby bar as well. The Hot Brown was created by Brown Hotel Chef Fred Schmidt in 1926 and it is still popular all these years later. It is an open-faced sandwich that consists of white toast covered with roasted turkey, bacon, Romano cheese, and a Mornay sauce. When you order one at the Brown Hotel, it is made to order and takes about 20 minutes. It is broiled until hot and bubbly and it is one of the best things you will ever eat. 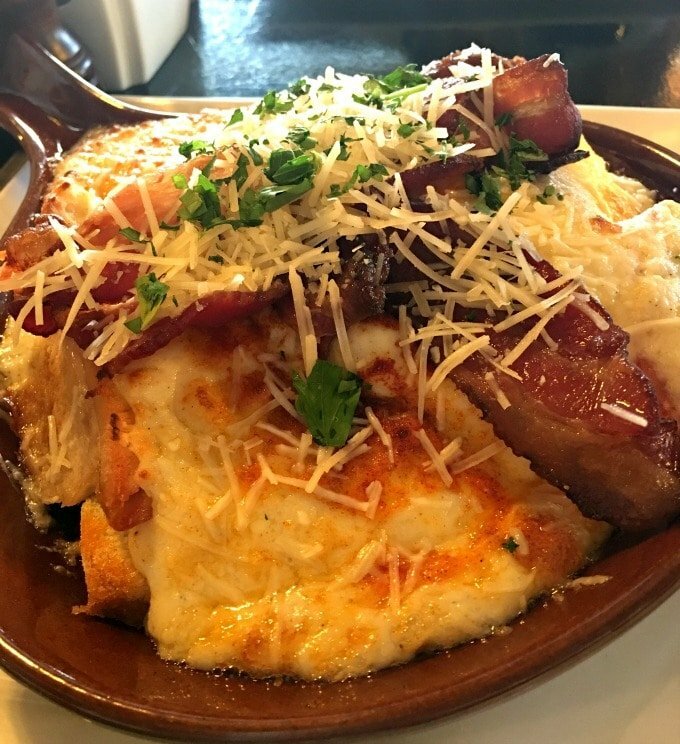 You can find the Brown Hotel’s Hot Brown recipe here in case you can’t make it to Louisville anytime soon. Or you can have a taste of Louisville with these Mini Hot Brown Tarts. They are a cinch to make. You can make the Mornay sauce 12 or even 24 hours ahead of time and have the filling all ready to go. 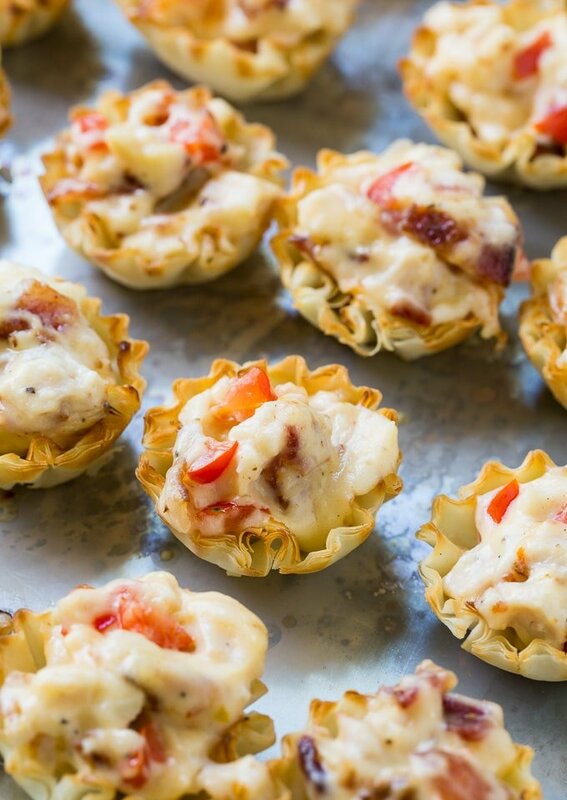 Then right before your party you just need to fill the fillo shells and pop them in the oven for 8 to 10 minutes. Totally fuss free if you’re prepped ahead of time! They would be perfect for using up leftover Thanksgiving turkey. Be sure to reheat any leftovers in the oven and not the microwave or they will get soggy. The famous Hot Brown gets turned into a mini appetizer that has all the flavor of the original. These tarts are super easy to make. 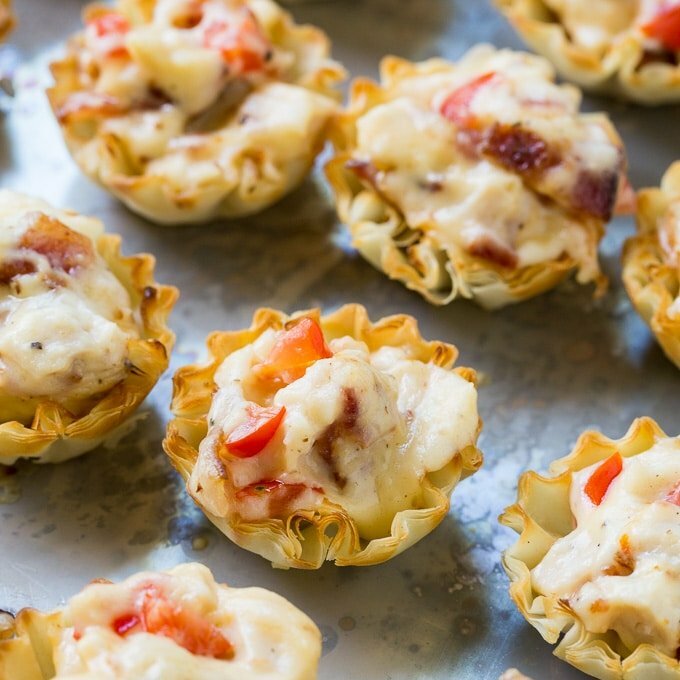 A crunchy filo cup is filled with a creamy and rich turkey and bacon filling. Combine turkey, bacon, and tomato in a medium bowl. Set aside. Gradually whisk in half-and-half. Cook until sauce thickens. Remove from heat and stir in salt, pepper, and cheese until cheese is melted. Pour sauce into bowl with turkey and stir to mix well. 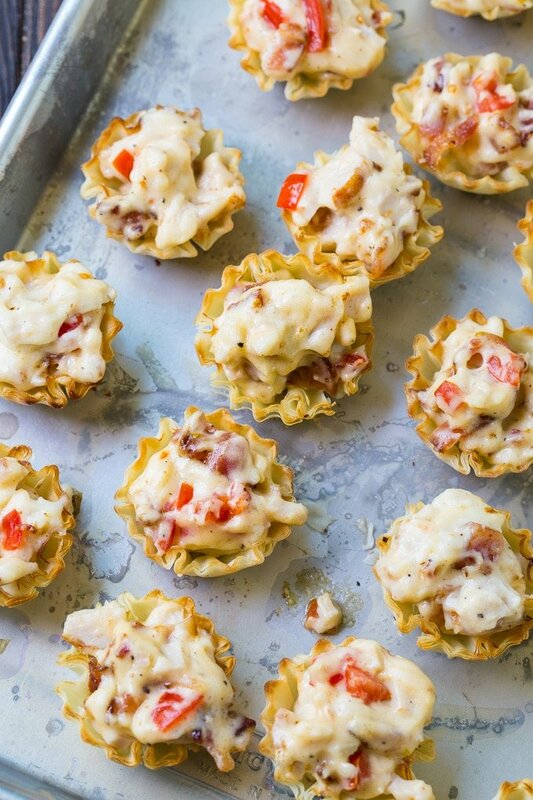 Arrange fillo shells on a baking sheet. Fill each one with filling. Bake 8 to 10 minutes. Garnish with tomato if desired. This entry was posted in Appetizers and tagged hot brown, tarts, turkey. Bookmark the permalink. As for subbing milk for half-and-half- I frequently replace cream or half-and-half with evaporated milk (canned milk). In cooking sauces and soups, this substitution has worked for me. The filo shells is a wonderful idea! I wear planning on using toasted white bread squares. This would be much easier for people to handle. I do think the white bread adds to the original Brown Hotel flavor, but if its too difficult to eat, who will eat more than one. I’m going to make these for some guests from Italy. 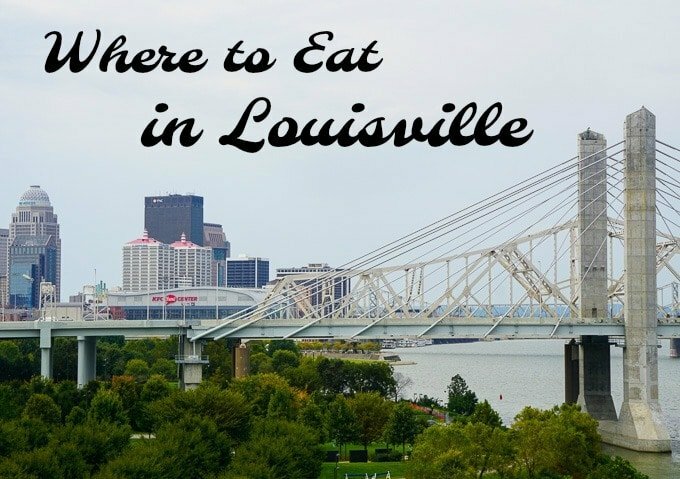 They have to have a bite of our most famous Louisville dish. I’ve made this as a casserole too. Your recipe ingredients calls for chicken breast which should be turkey breast. Do you have to use Half & Half, or can you use milk? Yes, you can use milk but it won’t be quite as rich tasting. If you have some heavy cream, you can make your own half & half.